The top tourist attractions in Zimbabwe are an interesting mix of adrenaline rush inducing adventures and cultural experiences. This landlocked country in Southern Africa shares borders with Botswana, Zambia and Mozambique. With its fertile soils, vibrant metropolitan cities and a rich flora and fauna, Zimbabwe is definitely worth a visit. Here are some of the top tourist attractions in Zimbabwe. Victoria Falls. 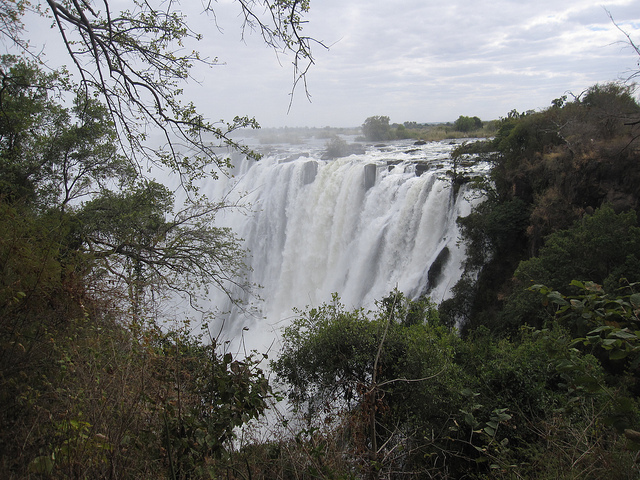 The world’s largest water fall is both Zimbabwe and Zambia’s pride and joy. Victoria Falls offer a wide variety of activities ranging from mild and relaxing, to extreme and adrenaline-rush inducing. Observe the diverse flora and fauna surrounding the falls. The grounds around Victoria Falls are home to a plethora of endemic species of birds, and fish. If you’re into sports fishing, the nearby Zambezi River is a slice of heaven. Visitor Tip: If you’re brave enough, bungee jump off Victoria Falls Bridge for a once in a lifetime experience. Hwange National Park. If observing Zimbabwe’s flora and fauna is your cup of tea, visit Huwange National Park, one of the top tourist attractions in Zimbabwe. This park is home to a great variety of game (one of the highest concentration of game, as a matter of fact). With an area of 146,000 square kilometres, the National Park is home to 107 species of animals and over 400 species of birds. Harare. Head off to Zimbabwe’s capital for a taste of culture. 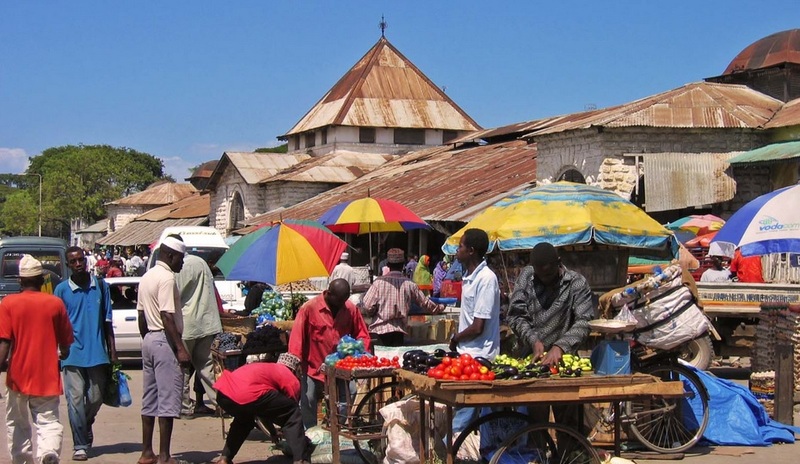 Harare’s cosmopolitan environment is perfect place to hunt for local and gourmet cuisines to whet your whistle, or satisfy your craving for some souvenir shopping in Mbane Musika market, one of the greatest open-air market in Africa. You can also check out some of Africa’s best artworks in the National Gallery or interesting artefacts in the Queen Victoria Museum. Great Zimbabwe Ruins. For history buffs, visit the Great Zimbabwe Ruins, the remnants of the ancient Kingdom of Munumatapa which was built between the 13th and 15th century. The following is a guest post from Will Wolf of Will Travel Life.com. The backpacker awakes from a long sleep in a comfortable bed–two blankets, three pillows, and a mattress that almost begs him to stay. He grabs his phone, checks his email, smiles “hi” to his roommates and meanders downstairs. There, he boils some water–a stainless steel pot with black rubber handles–and turns on the TV. He’s comfortable, yet excited. Today, he will be flying to Bogotá to begin his trip. He’s eager for something new. Months later, he finds himself in a hostel in Buenos Aires, with a world of experience in his rear-view mirror. He’s hiked, eaten, and chanced upon more novelty than he could have ever have dreamed. And yet, on this morning, living like the quintessential backpacker bum, in both amenities as well as odor, he still wakes in a bed that implores him not to leave. He still checks his email–he still makes breakfast with his fellow countrymen. The water flows when the handle is turned, and the room comes to life when the switch is flipped. Our backpacker is enjoying his trip as thoroughly as one can, but in those moments of personal reflection–of sitting on a ledge, feet swinging gently, thinking through all that’s been–he wonders: is this really so different from what I have at home? Some backpackers, myself included, are pointlessly difficult to satisfy: we always question what comes next. To us, travel is meant to be hard–a self-inflicted flogging of frustration, perspiration, and futilely backwards bureaucracy–a substantial, “Armstrongian” step out of our comfort zones. We want it to be like we had always dreamed–just a wacky, far-off splatter on the map, and us, without any information desks nor stainless steel rubber gripped tea kettles to remind us that we’re not that far from home. We want to be a stranger, in a very strange place. In a highly accessible world with many imaginative minds, the above flavor of ironic backpacker paradise has become increasingly harder to find. However, it is not lost entirely. So, for those who do crave challenge, coupled with an unflinchingly diarrheal diet of rice with “sauce” and malaria prophylactics, and just maybe, a small taste of that ever-elusive notion of “adventure,” West Africa is where you want to be. West Africa is a chunk of countries in the northwest of the African continent, whose members generally include: Mauritania, Senegal, Mali, The Gambia, Guinea-Bissau, Côte d’Ivoire, Burkina Faso, Niger, Ghana, Togo, Benin, and Nigeria. It may seem like a lot, but the countries are rather tiny. Benin is slightly smaller than the state of Pennsylvania, for example. The Gambia measures only 32km in width. Almost all land borders are open, and with the correct visas in place, are relatively easy to pass. In fact, with so many countries, the logistical possibilities can be considered substantial; there’s a lot of different routes to take. I, the author, just returned from the area–4 months between Mauritania, Senegal, Guinea, Sierra Leone, and Côte d’Ivoire–and here, I make my impassioned case: why you should backpack West Africa. Backpackers travel to actively explore; this is very basic. And in West Africa, there’s no shortage of things to do. Riding the iron ore train in Mauritania, hiking the palm-laden playground of Guinea’s Djallon, and discovering a diamond mine in Sierra Leone were my personal favorites. 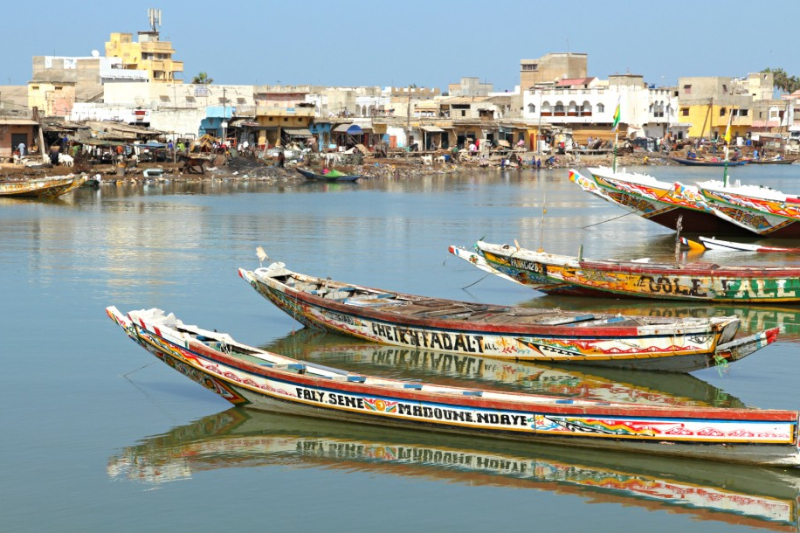 Trekking Mali’s ornate Dogon Country, island-hopping in Senegal’s brightly lush Cassamance, or even canoeing and camping the Niger River are also popular choices. Navigating a rush hour in Lagos, bathing on Accra’s golden shores, trying to pronounce Ouagadougou, head-thumping rap shows in Freetown, summiting Guinea’s Mount Nimba, enjoying the refreshing sophistication–and trying to out-drink Ivorians–in Abidjan, and sending postcards from Timbuktu (OK–this one is probably not recommended at the current juncture) would also make for a nice afternoon. If you need to construct a list of activities to convince a skeptical parent, you won’t be hard-pressed. There’s plenty to see and do. West Africa has a fascinating history. From the Ashanti Gold Empire of what is now Ghana, to the birth of voodooism in what is now Benin, to endless kingdoms and sultans and religions and conflicts–to slavery, to war, to rise and defeat–West Africa has quite an illustrious past. And then came the colonists. In the late 1800’s, European imperialists–mostly French, followed by English and Portuguese–sailed down to West Africa and began to set up shop. They pillaged communities, they looted resources, and above all, they claimed the land as their own. Finally, in the 1950’s, the colonists left, leaving behind the nations, most with newly formed borders, that we now see on the map. As you might imagine, they were left with many problems. In West Africa, the underlying semantics of the government and economy alike are rarely buried under a veil of functionality: there are many problems, of which most citizens are actively aware, and as a backpacker, inquisitive or not, you will be educated daily. You will be invited to eat mangoes and chat government. You’ll be in a country’s east, hearing all day about why its locals can’t get along with the tribe in the west; days later, you’ll cross into the west, and hear the very same thing about those in the east . The learning process is rarely halted by familiar comforts either: you can’t just hang out in a Starbucks all day, browsing the WiFi and escaping it all. 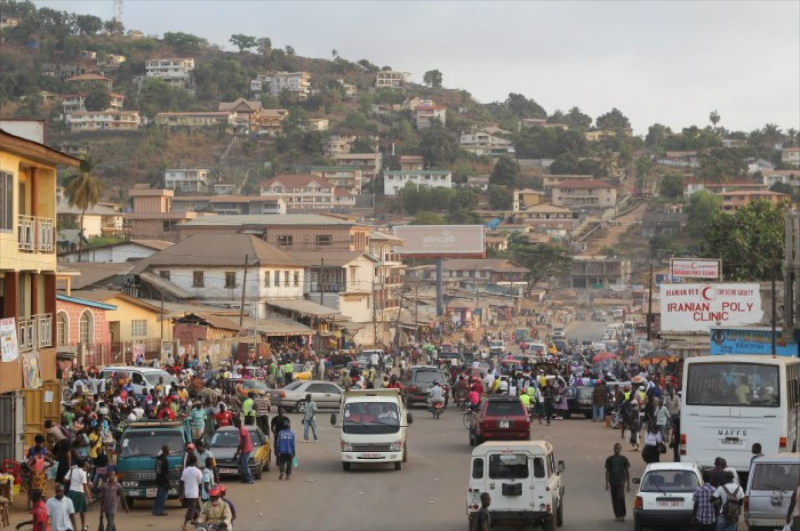 The issues of West Africa, even on a large travel budget, are inescapable. And when the electricity cuts off for the third time that day, as you are two hours into the monumental task of sending a single email, well, you just have no choice but to figure out just what the hell is going on. In 4 months I met 12 people backpacking in West Africa.Other travelers share similar statistics. There’s a few guidebooks for the area, but they aren’t very reliable. There’s hardly a beaten path, as there’s just no one to beat it in the first place. You won’t be sharing travel stories in your hostel bar, and you won’t be asking the information desk for a brochure. In many countries, locals quite literally don’t even understand what a tourist is. In West Africa, it’s really just you. You make your own choices–you choose your own path. You figure out how to find places to stay, how to figure out what to do, how to trek to the next village and how to exchange your money. It’s just you dicing cassava with brilliantly dressed villagers, or sharing Fanta and acheke with your local imam. You’re in a strange place, and you are the stranger. It’s a grand and beautiful theme park of possibility, and your level of involvement and personal reward relies entirely on your own devices. It is the ultimate “solo travel” experience. You arrive at la gare, where the bush taxis fill up, around 6:30am. Your car may fill by 7:00am, or it may fill by1:00pm. It may break down 10 times, or it may break down 20. Your driver may stop for lunch inexplicably, leaving 12 fiery passengers stuffed like jalapenos under a scorching red sun barking for his return. You may be invited to a wedding by strangers on the street, finding yourself in a glorious wonderland of food, liquor and color only a short hour later. You may be hiking, passing some villagers who are apprehensive about your presence, while the next refuse to stop feeding you oranges, bananas, rice, and fish until you literally beg their pardon. In West Africa, more than anywhere else I’ve ever traveled, you really don’t know what the day will bring. A strong reason for this is the novelty of the culture, compounded by the fact that, once more, you are almost always the only backpacker in town. The locals want to help, befriend, educate, and involve. Be open, be as trusting as your good conscious allows, and your day will warp and twist to the good vibes of delightful possibility. On the other hand, given that the Western notion of time is effectively non-existent, you really never know what won’t happen either. Just because your car leaves at noon, with only 100km of road ahead, there is no guarantee you will arrive before nightfall. In addition, just because you ordered your plate of rice and fish at4:00pm does not guarantee it will materialize before nightfall either. In fact, the average day in West Africa is closely analogous with asking how long your bush taxi journey will take: “It depends on the road,” they’ll say. “I simply couldn’t give you a definitive answer.” And when you are spending your night sleeping outside on a cement veranda because the border is closed until morning, you’llknow, about bush taxi journeys and the day’s unpredictability alike, exactly what I mean. Apprehension about backpacking in Africa seems rather widespread, and when you’re in West Africa, with almost no other backpackers around, the proof is right there in front of you. As a foreigner in West Africa, you’re the star. Everyone wants to talk to you and tell you about their country. Every mother seems to want to cook you food, while every child wants to give you a high-five. You ask for walking directions, and you’re offered a free motorbike ride instead. You ask a cafe owner what he’s cooking, and he offers the food that he’s currently eating, for free, instead. African hospitality is of a very special flavor, with the general gist being this: with seemingly everyone looking out for you, you have nothing to worry about yourself. In my 4 months, I don’t think a single person made a nefarious glance at any of my belongings; rather, I encountered so much impossible kindness by people I had never before met that I began to question the notion of what a “stranger” is in the first place. I could barely, I mean barely, walk down the street without being waved to, asked if I needed help, and in many cases offered food and tea. There was simply nothing to fear whatsoever. Sure, West Africa has its conflicts, but when they do go down, you simply pick up and leave. I was in Conakry, Guinea as opposing tribes spent a few days killing one another. However, it’s not as if a nuclear bomb is dropped on the city: the violence just takes place on one street corner, in one neighborhood. After my onward visas were in place, I left with no issue. It’s not like i was about to hop in the pile and start throwing rocks myself. 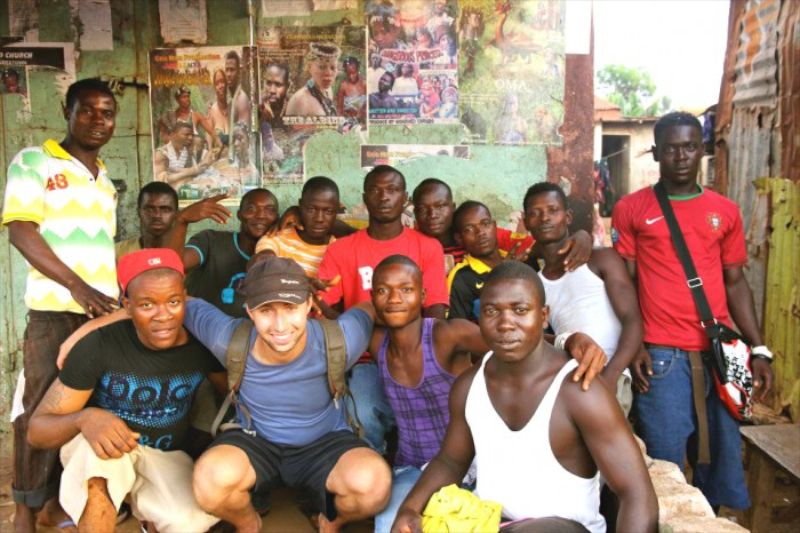 The backpacker leaves home for a new experience, and in West Africa, he will find it. He’ll be fascinated by the culture, perplexed by it just the same, and ultimately, in a solar system of comfort very distant from his own. He will learn, he will discover, and his experience will not go as planned. This is West Africa–unequivocally different. It’s there, it’s waiting, and maybe, it’s what travel really should be like in the first place.